(Essential Elements Guitar). The songs in the Hal Leonard Essential Elements Guitar Ensembles series are playable by multiple guitars. Each arrangement features the melody (lead), a harmony part, and a bass line. Chord symbols are also provided if you wish to add a rhythm part. For groups with more than three or four guitars, the parts may be doubled. All of the songs are printed on two facing pages so no page turns are required. This series is perfect for classroom guitar ensembles or other group guitar settings. 15 songs are included in this collection for late beginner level guitarists: All You Need Is Love * Blackbird * Eleanor Rigby * The Fool on the Hill * Get Back * Helter Skelter * Here Comes the Sun * In My Life * Let It Be * Lucy in the Sky with Diamonds * Michelle * Norwegian Wood (This Bird Has Flown) * Something * While My Guitar Gently Weeps * With a Little Help from My Friends. 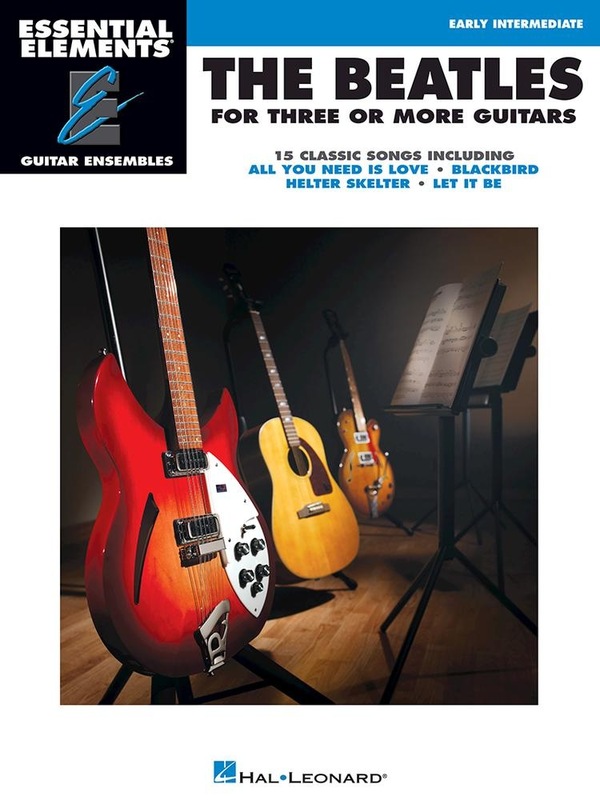 Acquista The Beatles for 3 or More Guitars in Epub: dopo aver letto l’ebook The Beatles for 3 or More Guitars di Beatles ti invitiamo a lasciarci una Recensione qui sotto: sarà utile agli utenti che non abbiano ancora letto questo libro e che vogliano avere delle opinioni altrui. L’opinione su di un libro è molto soggettiva e per questo leggere eventuali recensioni negative non ci dovrà frenare dall’acquisto, anzi dovrà spingerci ad acquistare il libro in fretta per poter dire la nostra ed eventualmente smentire quanto commentato da altri, contribuendo ad arricchire più possibile i commenti e dare sempre più spunti di confronto al pubblico online.